Passware Kit Forensic 2019.2.0 is Passware's most complete encrypted evidence discovery and password cracking solution trusted by Forensic Investigators around the world. It combines all Passware, Inc. proven password recovery tools and encryption detection technology that has developed and improved for the past 14 years. Passware Inc. is a trusted password recovery company which has few big corporations among thier customers including: Microsoft, Adobe, Apple, Intel, WalMart, Hewlett-Packard, Deloitte, Ernst & Young, KPMG, PricewaterhouseCoopers, Department of Justice, US Senate, NASA, FDA, IRS, and many more. The Forensic edition of Passware Kit includes over 30 password recovery tools, Encryption Analyzer Professional, Search Index Examiner, FireWire Memory Imager, and a Portable Version to provide immediate password recovery for any protected file detected on a PC or over the network while scanning. Passware package supports PC platforms only. However, it can recover passwords for some FileMaker files created on Macintosh. You can run Passware products on a Virtual PC or Parallels Desktop to unprotect your files. PasswareKit Forensic recognizes 280+ file types (Full List) and works in batch mode recovering their passwords. Many types of files are decrypted instantly, other passwords are recovered with Dictionary and Brute-force methods. To recover difficult passwords and to achieve the highest speed, Passware Kit Forensic efficiently uses distributed and cloud computing, multi-core and multi- CPU systems, ninepassword recovery attacks, nVidia and ATI GPU, and Tableau TACC hardware acceleration. In addition, Passware Kit Forensic acquires and analyzes live memory images, decrypts hard disks and smartphone data, and allows you to get administrative access to Windows and Mac computers. The new version is an upgrade of the older one: Passware Kit Forensic v2017.5.2, which adds many new features. The new version of Passware Kit features a redesigned user interface and the capability to decrypt Apple File System (APFS) disks and macOS High Sierra Keychains. Passware Kit 2018 v1 can be used side-by-side with Passware Kit 2017. You can install the new version on a computer that is already running an earlier Passware Kit version. 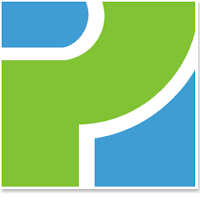 Grab Passware Kit Forensic Coupon Code 2019 Now! Save 15% Off! Disclaimer: Direct downloads for the lastest version of Passware Kit Forensic 2019.2.0 are provided by the official software's author, we can't guarantee safety, availability or download speed. Moreover, we don't and we won't provide any pirated/illegal versions or tools. We recommend you to avoid it as these methods can harm your device. If you like the software, buy it to support the developers. (We provide software discounts for many worldwide brands).